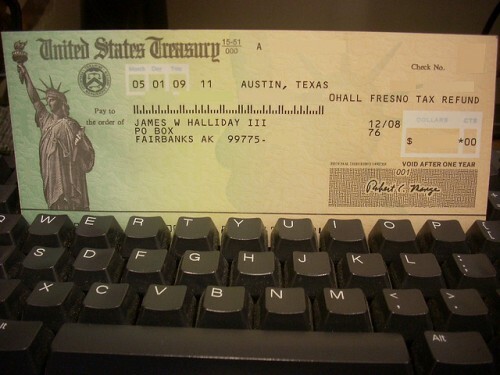 Are you expecting to receive an IRS refund this year? Do you have big plans for that money? Maybe you want to spend it on something nice for yourself. Maybe you are planning to use it for a great vacation to get away from it all. Many people who receive a tax refund each spring eagerly await the money that will be deposited into their bank account. However, instead of rushing out to spend it on some type of splurge, consider putting it to another use. For one thing, one of the best uses for your IRS refund is to pay down any debt you may have. If you’re swimming in a pile of debt, the last thing you need to do is spend money elsewhere. Using your IRS refund check not only pays off the debt, it lowers your overall balance so that you end up paying less in interest charges over the long run. It’s a great way to jump-start a snowball repayment method or a huge snowflake to add if you already have begun. When you receive that IRS refund in the mail or deposited into your bank account, consider putting a majority of the money towards future loan payments. If you have a mountain of student loans, overpaying your current statement will help you decrease the interest or debt. Most people don’t like the idea of spending their refund check on loans, but it’s a smart move to make. Paying off your loans as soon as possible is never a bad thing. Additionally, prepaying your bills for a couple of months is another great way to use your IRS refund. Most people don’t plan for their refund when they go over their monthly finances, so you should take advantage of the money and put it towards your bills. If you can prepay your bills for an extra month or two, you’ll be ahead of your finances. Of course, if you don’t have any immediate financial issues to deal with, the next best option for your IRS refund is to put it into a savings account. If you’re tempted to spend it, consider having the check deposited directly to your savings account so it’s as if you never even see the money. 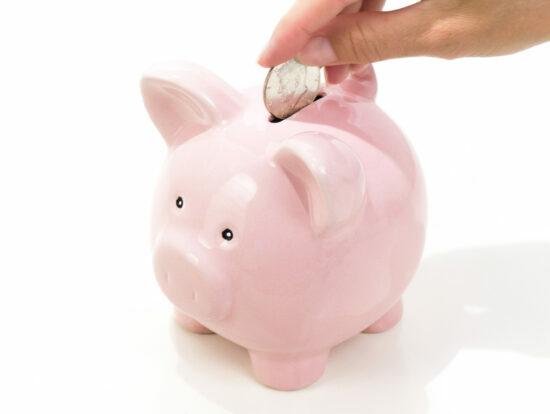 Bulking up your savings account whenever you have the money to do so is always a smart idea. While adding your refund to a savings account is good for those times when you need a couple extra dollars for weekly expenses or when you’re planning to save for a big even or purchase, using your refund for an emergency fund is an even better idea. An emergency fund should be used for unexpected issues such as a medical illness, job loss, or other situations that cause sudden financial difficulty. If you own or rent a home, you might have several repairs or upgrades that you’ve been putting off due to lack of finances. You should consider putting your IRS refund toward repairing or upgrading one (or more) of those issues. Home repair is nothing to procrastinate about as such problems only become worse the longer they go untreated. Maybe you have an event coming up, such as a wedding or baby shower, that you need to save money for. Or maybe you plan to have dental surgery and you know that your insurance won’t cover the bills. Or perhaps you want to buy a car to make your commute to work easier. If there’s something you’re saving up for, using your IRS refund to reach that goal is a smart decision. It’s never too early to add money to your retirement account. If you have no outstanding debt and your bills are all fully paid, consider putting aside some money into a traditional or Roth IRA. Or even put the money into a separate account dedicated to retirement savings. You never know how much money you’ll need once you retire, so setting aside even a small bit of your refund for retirement is a great idea. If you have children, why not put aside your refund for their college savings? Alternatively, if you are planning on going to college, you might want to save your refund to fund tuition, housing expenses, or book costs. The cost of attending college seems to rise each year and as with retirement savings, it’s never too early to start saving for college. Even the smallest amount of money will help someone who plans on attending college. Of course, you may want to just spend your IRS refund on something you desperately need. Maybe you need new winter boots or maybe your car needs to be repaired. You might need to update some appliances or you might just want to spend a little extra on a nice dinner. Sometimes splurging a little bit on yourself is just as smart as spending money on other financial necessities. All of our other lessons up to this point have focused on saving money and paying off debt. But this week’s lesson was about making money. It makes sense. You need to make good money to pay off debt, build wealth, and plan for a secure financial future. That doesn’t have to mean hundreds of thousands of dollars per year, but you do need to make a wage that allows you to pay your bills and put some extra away. While you could chase the “hot” careers and the “good” money, Dave advocates a different approach: Find work you love and that suits your personality. You may not make a fortune, but people who are happy with their work tend to make more money over time because they are committed to the job and are willing to work harder at it than someone who doesn’t care. Plus, you don’t want to spend forty years of your life completely miserable. Dave’s career coach of choice, Dan Miller, says that money alone will never be enough compensation for doing a job. You have to be happy, too. Those who work in their strengths and according to their tendencies, values, likes and dislikes have a better chance of finding fulfillment in their work and succeeding than those who fight their own personality everyday at work. D = Dominant: This person is bold and aggressive. They like to be the leader and in charge. They are task oriented and approach situations as problems that need to be solved. I = Influencer: Dave calls these people the party looking for a place to happen. They are fun, people oriented, people-pleasers. They’re outgoing, impulsive, entertaining, and can lose focus. S = Stable: These people are steady, loyal, calm, slow to act, concerned about pace, and tend to avoid conflict. C = Complaint: These people love procedure and clearly defined steps. They are analytical, detail oriented, factual, rigid, serious, resistant to change, and logical. Once you identify the type of personality you are, you need to seek out work that allows your personality type to shine through. You don’t want to be an Influencer stuck in an accounting job better suited for a Compliant person, for example. Similarly, you want to try to find an organization with people who are like you. While some differences are to be expected, if you are the only Stable person in a company full of Dominant people, you’re likely to get eaten for lunch. There are other types of personality assessments out there, so if you don’t feel like the DISC works for you, look into some others. The point is to know who you are and what you like in order to find out what you should be doing with your life. After the DISC discussion, Dave spends some time talking about the basics of resumes, job hunting, and interviewing. He didn’t offer anything that hasn’t been written in hundreds of career guides over the years. Get yourself a copy of “What Color Is Your Parachute,” by Richard Nelson Bolles and you’ll have the same information and a lot more. The lesson ended with a look at overtime and extra work. Dave points out that raising your income over the long term requires a good career track. Find meaningful work, get and keep good jobs, educate yourself, and build a long term career. However, if you just need to raise your income in the short term (to pay off debt), you’ll probably need a part time job or to work a lot of overtime hours at your current job. It’s probably not going to be much fun, either, but you have to make the sacrifice to win. It can help if you have a detailed plan so you can see that this cruddy job has an end date. Know how much you need to make and when it’s done, move on. You also have the option to start a home based business venture to make extra money. If you’re lucky, it might become your full time job. The point is to make enough money, pay off debt, and invest wisely so that you can quit the part time job and eventually get to a place where you don’t have to work so hard. Dave says that if you do his plan correctly, you should eventually reach a point where you only have to work when you want to. In small group many people expressed dissatisfaction with their current occupations. Most don’t actively hate their jobs, but feel like there’s something better or more satisfying out there. Only two of the people in class have any real plan for dealing with that dissatisfaction, though. One is currently working retail (which he hates) while he pursues his Master’s in Library Science. Once he graduates, his dream job is to work in a university library. The other is currently working as a bank teller while she tries to launch a home-based cake decorating business. Both of these people are on their way to creating more meaningful work for themselves because they know what they want and are actively working to get it. We talked about what type of work we would do if money were no object. A couple of people mentioned ideas like craft-type businesses or woodworking, and another mentioned gardening. These are the hobbies that they pursue and would love to do as a “real job,” but can’t figure out how to make them pay the bills. We talked about how part of the reason for becoming debt free is so that you can do the work you love, even if it pays less. When you have to pay a mountain of bills, you have to take a job that you might not love just to bring in money. But when your bills are few, you have a lot more freedom to do work you love and work on your own schedule. You don’t need as much money to live, so if the job doesn’t pay much you can still do it. We also talked about trying to find work now that will prepare you for the dream job in the future. We brainstormed with the guy who wanted to do woodworking to try to find ways for him to start preparing for that now. He could do the woodworking as a side business for now. He could take a job at a place that makes furniture or cabinetry. He could go work at Home Depot in the lumber, contractor, or cabinetry departments. He could teach woodworking classes at the local community college. He could even go work in forestry to get a better sense of the types of wood available and the process of turning trees into workable wood products. Even a simple office job for another small business would expose him to the intricacies and legalities of running a small business. There are lots of ways he could be preparing to strike out on his own, and it’s the same for everyone else. Even if you can’t do your chosen job right now, you can find other types of work that prepare you for what you want to do. You just have to brainstorm and think about the skills you need to learn and how to get them. Homework roundup: This week we had to do two things. First, we had to look at the DISC plan in the workbook to see if our current occupation fits our personality style. I think I’m a “C” type, or Compliant. I’m analytical, love detail, am logical and factual, and can seem rigid, serious and resistant to change; all hallmarks of the “C.” Not a flattering picture, but writing is well suited to my personality type. It’s the sort of job that requires a detail orientation and a love of facts. It also doesn’t offer a lot of drama or excitement, which is good for someone who doesn’t like change. I’m also not the most social person and writing is a pretty solitary activity. I’d say I’ve chosen my occupation well. The second thing we had to do was to lay out a three year plan where we identify where we want to be professionally three years from now and then plan the steps needed to get there. Three years from now I’d like to be doing what I’m currently doing, although I’d like to be a novelist by then, too. The steps to get there are: 1) Finally finish the novel(s) that are rattling around in pieces on my hard drive, 2) Polish them to perfection, 3) Send them to agents and publishers and try to get them published. I could also take some courses in novel writing. My plan is pretty simple, but I’m lucky to be happy doing what I’m already doing. The novelist thing would be a nice add-on, but I really like where I am professionally. I could have really used this class about eight years ago, though. Then I would have had a much different plan because I hated where I was back then. A plan would have helped greatly at the time. As it was, I just sort of stumbled around until I hit on what I was meant to be doing. A plan would have helped and I can see the value in doing this exercise, particularly if you’re unhappy with your current occupation. Finally, if you don’t have time to go to the course, consider buying the Dave Ramsey Financial Peace University DVD Home Study Kit (9 Week Course) 2012 Release . It sells for under $200.00 on Amazon, which is a pretty good deal considering how comprehensive it is. I’m often asked two things: First, how can someone become debt free and second, how does one really live debt free? The people who ask these questions are usually seeking a blueprint; a set of fail safe steps that will get them debt free and give them instructions on how to live a debt free life. I wish I could give out a set of steps that would fit everyone, but it’s not that simple. While there are some general answers to these questions that I’ve touched on before, the experience is different for everyone. There are things you must do to become debt free, but how you do them is up to you. Once you’re debt free, your life and your money is (mostly) your own and it’s a liberating and relaxing experience. Beyond enjoying those feelings, your debt free experience will depend on what you enjoy. Trying to follow a set of steps exactly is likely to lead to failure because we are all different. What works for one doesn’t always work for another. To become debt free you have to spend less than you earn. Often much less. This is true for everyone. But people have very different ways of making that statement work for them. Some people choose to keep their spending the same but get another job. Others slash spending to the bone and live on Ramen noodles for a few years. Still others keep spending on the things that are most important to them but cut down on everything else. There’s no one right road for everyone, but ultimately everyone who wants to be debt free has to take that step in some form. There’s also no one right way to pay off the debt that you do have. Some people choose to pay the highest interest rates first and others choose to pay the smallest balances first. Others try to distribute their payments so that they make a little progress on each debt each month. However you go about it, the debt has to be paid off. It’s the method that’s up to you. There’s no blueprint for how you should live your life once you’re debt free, either. Some people continue to scrimp and save, putting all their efforts toward the future. Others prefer to give away large sums of money and only keep the bare minimum for themselves. Still others spend on things that are important to them like travel or hobbies and keep saving in other areas. Your lifestyle choice is completely up to you. However, everyone who is debt free and wishes to remain so needs to continue to spend less than they earn. Ideally you have a strong emergency fund, as well, to keep you out of debt should problems arise. Beyond those two things, a debt free life is your own creation. Your debt free journey and experience will likely not be the same as mine or anyone else’s. While you may choose to model your efforts after me, someone else you know, or a financial guru, ultimately you have to do what works for you. You have to take certain aspects of other people’s experiences that work for you and use them, while letting the stuff that doesn’t work go by the wayside. There are steps and feelings along the debt free journey that everyone will experience in some form. But exactly how you approach your journey and your life will be your own creation. The important thing isn’t how you become debt free or what you do when you get there. It’s not important whether your experience is the same as someone else’s or not. The important thing is that you do become debt free someday so that you can build wealth and live a comfortable life, unencumbered by debt.